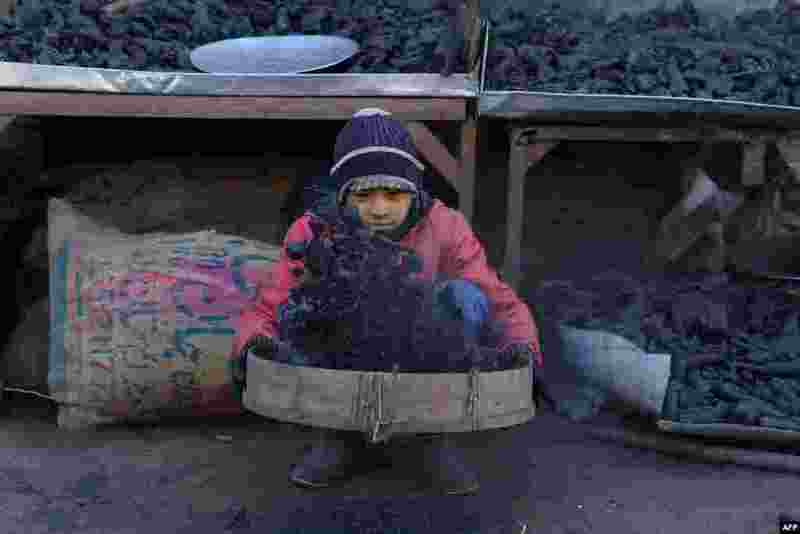 ١ A young Afghan vendor sifts charcoal at his stall in Herat city. 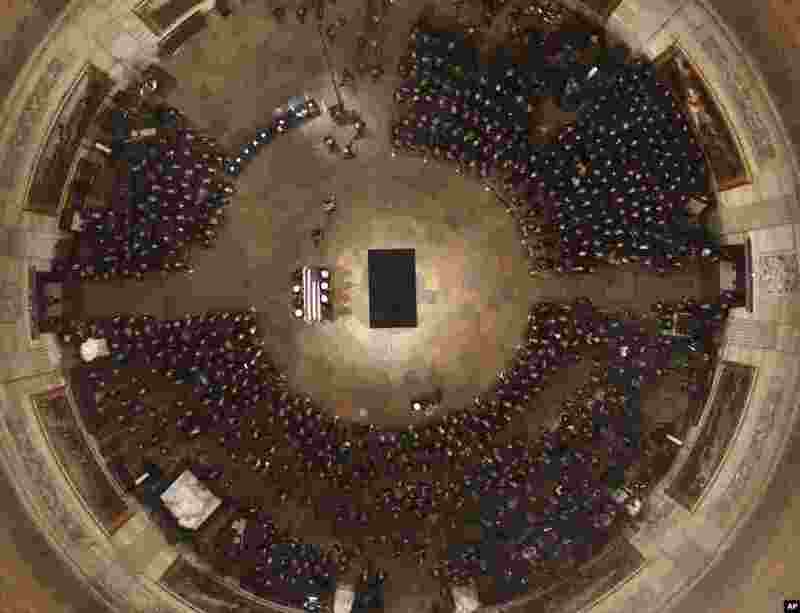 ٢ The flag-draped casket of former President George H.W. Bush is carried by a joint services military honor guard into the U.S. Capitol Rotunda, Dec. 3, 2018, in Washington. 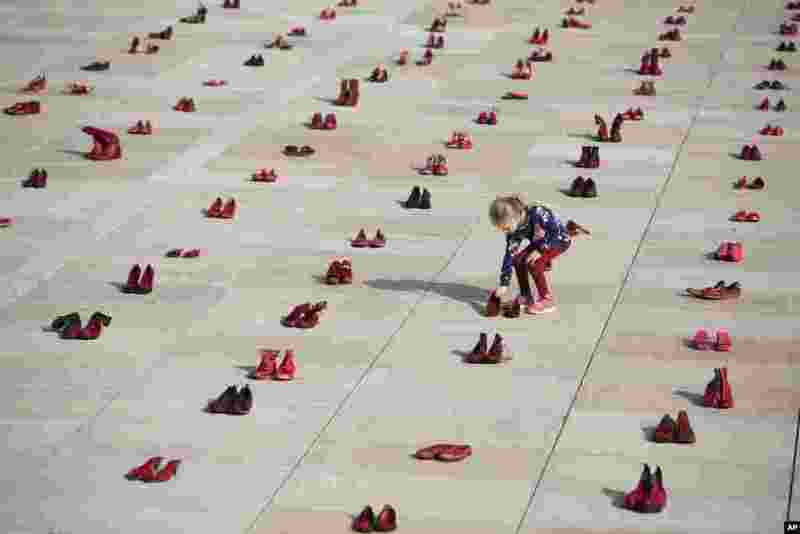 ٣ A display of hundreds of red shoes spread as protest against violence toward women in Israel at Habima Square in Tel Aviv. 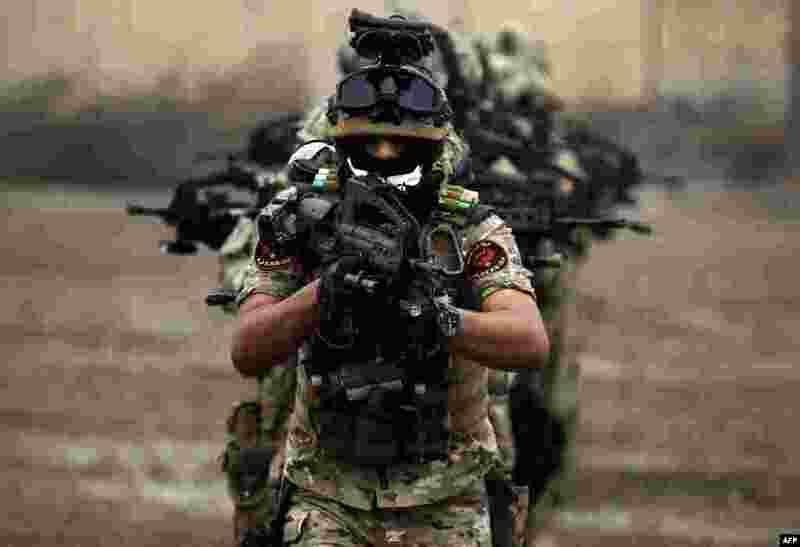 ٤ Members of Iraq's Rapid Response military unit take part in a "counter-terrorism" training at a military base inside Baghdad International Airport. The exercises are being held over a period of four months in cooperation with the Italian forces in Iraq.